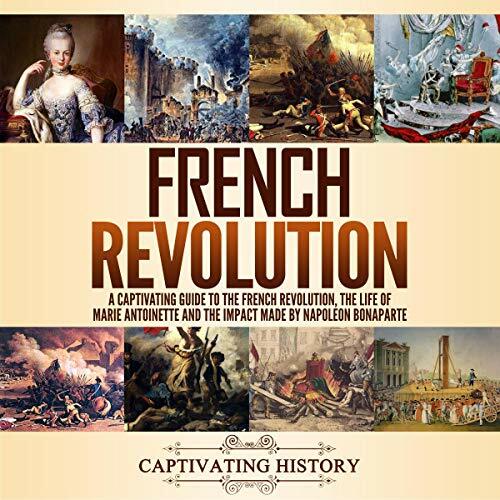 Listen to this audiobook now if you want to learn more about the French Revolution! I thoroughly liked this book. In sharp contrast to so many other books out there on the French Revolution, this one read like a fast-paced action novel! It was good though the military aspects of the French revolution were given short shrift the details of the revolution were good. Very easy to understand but a little tense. Tension and tragedy of a thriller period described in a non-thriller way. Gives ample factual knowledge about the French nation of the period. A complicated history made simple. It was a great book. In a concise way, it revealed what the French Revolution was all about. Great writing for History students studying French History! This is a well written factual account of a very exciting period. Very easy to understand, informative and captivating book. Good sketch of the events of the French Revolution and how it set the stage for Napoleon's rise to power. Very good audiobook. This is a great piece for those who want an intro to the ideas of the French revolution. It also promptly describes its campaigns in Europe, which will definitely spark more research for those engaged in military history. This book is about the French Revolution. Fast paced leaving you wanting more! I recommend it. It is fascinating and enlightening. I wish it had a more militaristic description of the battles. This is a good book.